For the sixth year in a row TheNextWomen offers ambitious women-led startups the stage of TheNextWomen Pitch Competition to pitch their company to an expert jury of investors, press, advisors and other professionals. This year TheNextWomen will take the annual Pitch Competition to the next level: the quarter- and semifinals of the competition will be localized in Amsterdam, London and Paris. Last March, TheNextWomen Pitch Competition also took place in Tunis: all of the finalists (+ winner of the competition in Tunis) will come together in Amsterdam during the grand finale in October 2018. 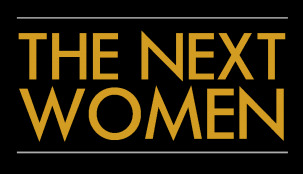 The best female startup wins a convertible loan of €20.000 from TheNextWomen Crowd Fund. Are you a female startup founder? Did you already took the first steps to accomplish your idea and are you looking for a platform and investors to let your company grow to the next level? Apply for TheNextWomen Pitch Competition via the link below and get the opportunity to lift your ambitions to a higher level! Applications in Amsterdam will be open until May 31. Applications in Paris/London will be open until August 31.